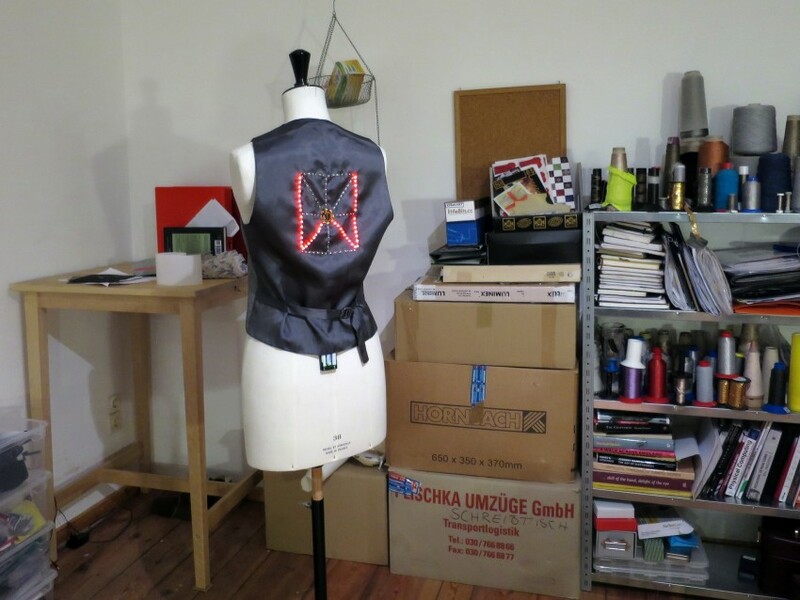 Put Your Letters on Display #WearableWednesday « Adafruit Industries – Makers, hackers, artists, designers and engineers! Hannah Perner-Wilson recently gave a workshop at Wear It Berlin that challenges normal LED segment display. If you are a fan of wearables, this might not come as a surprise, as Hannah is famous for her work in fuzzy touchable handcrafted electronics — especially sensors. Her LED display is another success, using materials like copper tape, surface mount LEDs and a microcontroller made from scratch. Controllers were crafted using an AT Tiny on a flexible PCB board, which is a great process if you haven’t seen it. 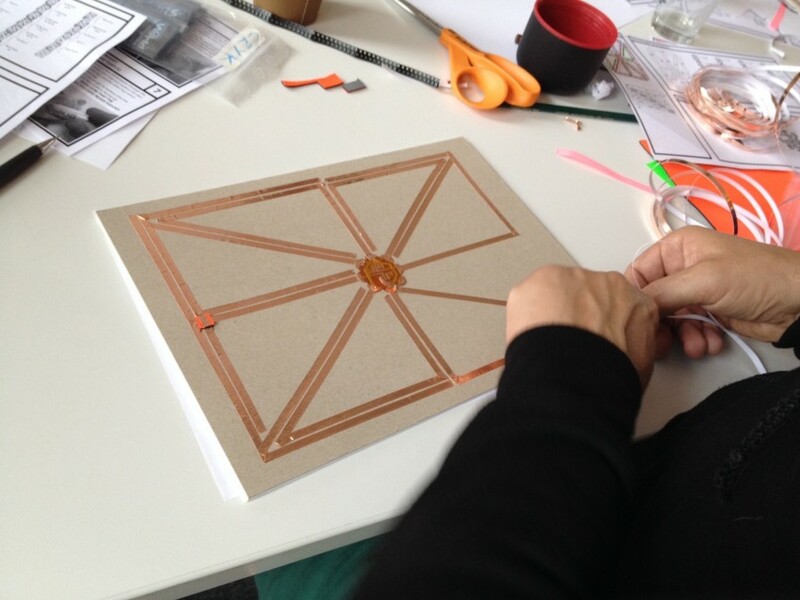 Participants were encouraged to be creative in their designs, with some using copper tape instead of conductive thread, and others using traditional LEDs, rather than surface mount style. The LEDs were soldered onto the conductive lines using Charlieplexing, which allows a large number of LEDs to be illuminated with just a few pins. 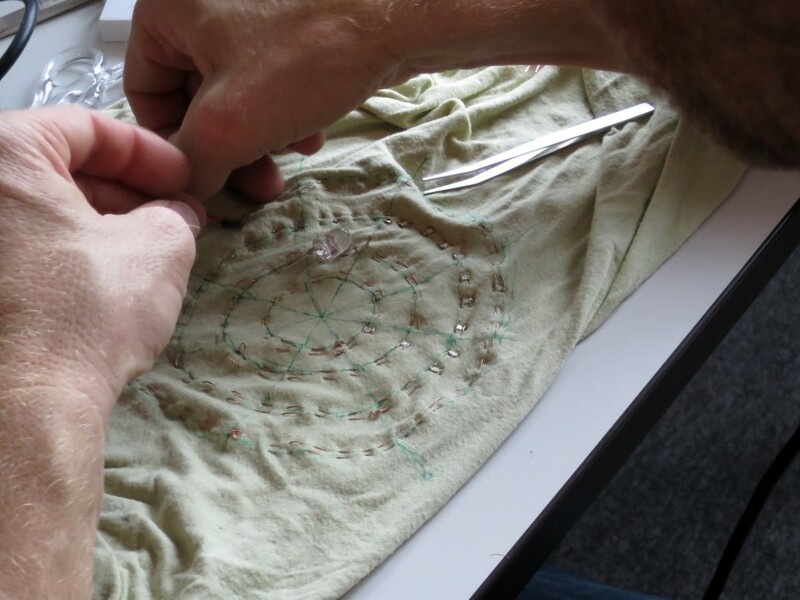 It’s a smart strategy and keeps the parts small for this wearable project. Interestingly, part of the creativity came with the shape of the circuit. The example showed a rectangular shape that you might expect in a display, but a few people experimented with round and octagonal shapes, giving their letters a different font feel. What I like most about Hannah’s work is that she is always going to the root of electronics and creating a softer experience through her materials. It is this kind of thinking that is inventing flexible circuit boards and woven textile batteries. The future is going to be filled with these ideas because no one likes to be uncomfortable in their clothing. So, next time you look at a part, imagine a softer substitute. 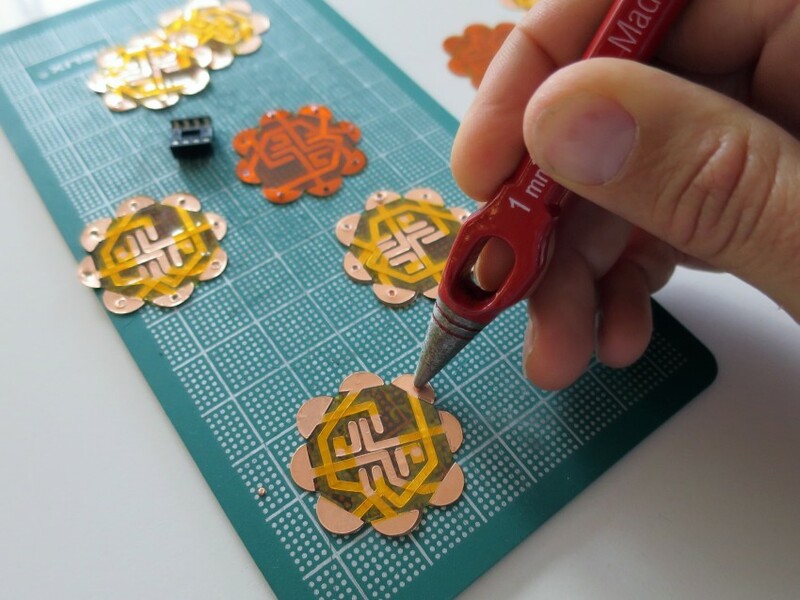 In the meantime, you can get started on your own segment LED project with Hannah’s tutorial. If you like more traditional segment display bling, you may want to consider our 3D Printed LED Knuckle Jewelry. Think chunky words in a small space. What will you spell?